Police say agents bought drugs from Frank Barrett on several occasions before his arrest Wednesday. Police have arrested a Massachusetts man and charged him with selling crack cocaine and fentanyl in Biddeford and Saco. 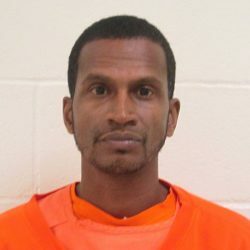 The Maine Drug Enforcement Agency says 44-year-old Frank Barrett of Hyde Park sold crack cocaine to undercover agents on several occasions. He was arrested Wednesday in the parking lot of the Hannaford supermarket in Biddeford. Agents from the MDEA York County Task Force spent the past three months investigating Barrett for selling drugs in the Biddeford-Saco area, including in a school zone. When he was arrested, Barrett was carrying 10 grams of fentanyl, police said. Barrett was charged with aggravated trafficking in scheduled drugs (crack cocaine), a Class A felony. The aggravating factor was the sale of drugs in a school zone, police said. Bail was set at $15,000. He also was charged with aggravated trafficking in Schedule W drugs (fentanyl). That charge was aggravated due to a 2012 felony drug conviction in Massachusetts. Bail for that charge was set at $10,000 cash. Barrett was taken to York County Jail.